To be fair, until giving this salt a try, I would have never thought that quality sea salt would make such a huge difference either, but the difference is nothing short of astounding. This entirely unrefined, natural product is harvested by hand by traditional methods that have been practiced for centuries, indeed some of the salt pans in use today have been used for over a thousand years! 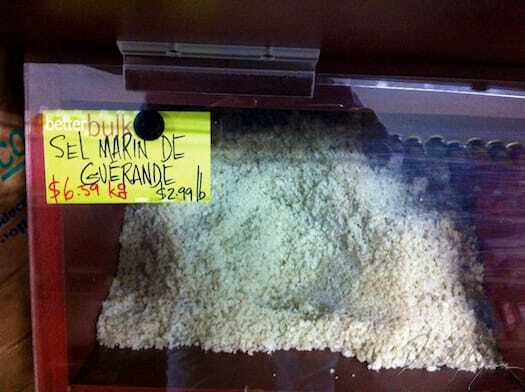 Rich in minerals, sel de Guérande is not the refined, white “sea salt” that we see in many stores. Ask any family in France, the French simply know what tastes good: the salt on the table in many French households is "Sel Marin de Guérande", harvested in this traditional way on the Atlantic coast. Top chefs in France use Sel de Guérande in their dishes, it is delicious in soups and sauces, as well as for seasoning grilled and roasted dishes. If you like good food and are passionate about cooking, you should definitely give this salt a try. Michelle and I have been "converted" over to using a sea salt mill for some time now and even that is a big flavor change from regular table salt. We don’t use "regular" table salt anymore, ever. 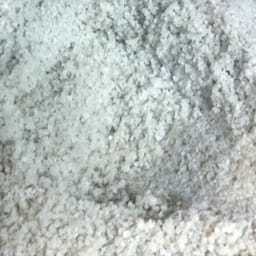 But the switch over to this sea salt, compared to other sea salts is huge. Salt is just salt you say? Not convinced? If you think I’m crazy, give this salt a try and see for yourself – you’ll be amazed at how much of a difference quality sea salt makes! Not Just Any Sea Salt was published on Sunday, October 17, 2010 at 8:30am EDT by Daniel Menjívar and last updated on April 11, 2018 at 9:30pm UTC .